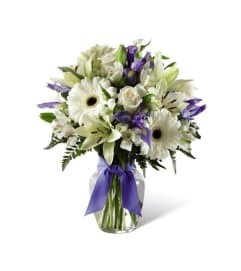 Echoing with the pale shades of morning's first light, this flower bouquet is truly a work of art. 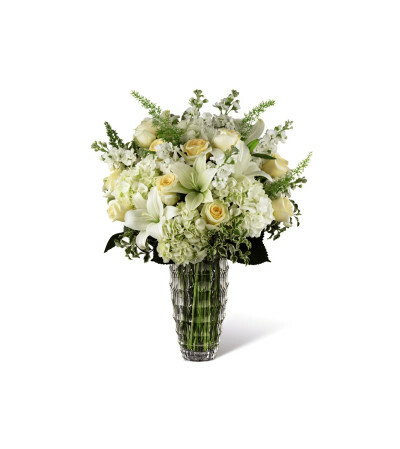 White mini cymbidium orchids give this piece a unique texture and peaceful light accented thoughtfully with the velvet gray of Dusty Miller. 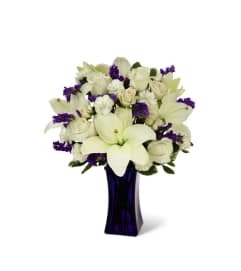 Arranged within a gray and white graphic Moroccan inspired ceramic vase to further compliment the bouquet's unique styling, this gift of flowers is one your recipient won't soon forget.